Social media is an essential part of the PR toolkit, yet the tools that we collectively call, “social media” vary substantially between platforms. Customer habits and platform features also change frequently, which makes developing and implementing strategies fluid and challenging. What we want to do in this paper is a deep-dive to discuss how to amplify your earned media with a solid social media strategy. Rather than approaching this from an opaque, general point of view, we want to discuss each point on a granular level relative to the most popular social media platforms. It is not nearly as useful to address earned media on social without explaining the differences between earned media on Facebook and Instagram, for example. Let’s explore how Earned (Social) Media can be best leveraged to accomplish your PR and marketing objectives. You probably know these numbers: x amount of Instagram followers, y amount of Facebook fans, z number of Twitter followers, etc. These inputs aren’t necessarily translatable into a reliable action. For example, posting a picture purportedly viewable by your 1000 Facebook “fans” may generate little or no views, engagement, or conversion events. In another context you may have heard the adage about the market inefficiencies created for cow salesmen when milk is given away for free: this is how the social platforms view monetization. From the platform’s perspective: allowing your business to access fans and followers (reliably) for free probably would cause you to spend less money on advertising and promotion. So, posts get “filtered,” and expected reach is typically a small fraction of overall fan count. 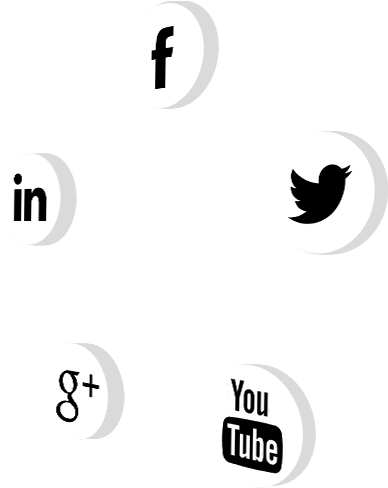 So, what kind of reach do you have with the major social platforms? Let’s consider what kind of organic reach that you can expect from each platform. Most research on Facebook Page reach arrives at the same conclusion: reach has regularly been declining for many years. Some studies look at the relative number of views per post, while others project views as low as <1%. The consensus is that brand ability to reach their Facebook fans diminishes with time. A recent anomaly in the data has been a reported consistency or increase in reach for video posts. This may be a helpful insight if your marketing mix allows for you to use more video content on social. But for everything else, Page reach on Facebook has been diminishing consistently. Facebook suggests using “pinned” posts to boost reach organically, but this would only make a post prominent when readers specifically go to your Page. Facebook and Messenger do not allow for proactive messaging to Fans, so this isn’t an organic option for outreach, although a Page admin can send a message to anyone who has messaged via its Page. Twitter reach is tough to measure but is decidedly low. A lot of companies claim to give you accurate data on reach, and so does Twitter (although they calculate reach as the number of followers who saw your post if they were on Twitter at the time, rather than a true measure of reach to overall followers). Probably the best analysis of Twitter reach that I’ve seen is Danny Sullivan’s post describing his actual reach (lower than 3%) and engagement rate (less than .1%), but that data is three years old. Twitter now has an algorithm that likely further skews that impression and engagement rate. The President’s success using Twitter as a communications platform perhaps skews people’s perception of Twitter reaches favorably. It’s important to understand that most of the awareness of the President’s Tweets come from press coverage of the Tweets rather than from Twitter itself. This is an organic amplification mechanism that cannot be emulated by a company or a brand. On the other hand, proactive Direct Messaging is an option for Twitter (with read receipts). However, there is evidence suggesting that many people don’t read their DMs because they tend to attract spam. That said, at least one academic paper demonstrates that DMs are more useful to generate conversion events than public Twitter. There do not appear to be too many studies of general Instagram reach for brands, but it is likely that Instagram may filter branded posts through its algorithm. Instagram also has its Instagram Direct (DM) product, which allows you to send direct messages to other users. The notorious “slip into DMs” euphemism is often discussed regarding Instagram because of their liberal DM policy. Note also that Snapchat is missing from the discussion here despite its place as a major social network. This is only because of the limited number of features that brands can currently use on the platform for organic reach and promotion, and their redundancy with Instagram and Facebook features. This may change in the future. LinkedIn has one of the most impressive demographics of any network: it is an incredible social platform in theory. By Microsoft’s number’s 23% of registered users use LinkedIn monthly, and anecdotally, engagement and interaction tend to be driven by a small group of power users and job seekers. Compounding this for brands is an algorithm that defaults to displaying top posts in the LinkedIn feed, and some ambiguity about notifications and display to your organic network. Company profiles (of course) are different than personal accounts because they don’t allow one-to-one InMail communication. So paid options are necessary to enhance company pages on LinkedIn because it decouples messages a particular time window. Open rate and engagement rates are often much higher than those seen with social platforms. When considering our earned media, we’ll use email as a benchmark and to leverage earned social media by transitioning social contacts to this more reliable communications platform. Also, it probably is worthwhile to point out that recent academic research on “virality,” the phenomenon where a post, photo or image will gain disproportionately high reach because of grassroots sharing is inconsistent. Posts that we perceive as viral are typically broadcast through massive networks, with very few iterations from the original post, and attributes that are often recommended to make a post go “viral” don’t yield consistent results. Relying on distribution beyond your channel norms is likely not sound social media strategy. Social platforms use filtered posts to generate revenue. The idea of social networks as benevolent communications tools has long passed. You cannot rely on organic social media to consistently communicate as you would with email or messenger-like services, and most social communications strategies account for paid augmentation. Not surprisingly, the ways that you can leverage paid media with your earned social are vast. For simplicity, we’ll look at paid amplification options and growth options (next section) separately. In general, the benefit of paid social is the ability to circumvent the real and artificial time expiry and algorithmic constraints that limit your reach. For Facebook proper, the primary vehicle for promoting posts is to “boost” them. To boost a post, you set targeting, time and budget parameters, and you buy reach to those Fans. You can also gain reach for friends of your fans, or to a separate, nonaffiliated targeted audience. You can further micro-target your fans by geography, interests, age, income, political affiliation, etc. For new advertising or video content, the Facebook Ads Manager tool allows for you to configure ads or videos that reach your Fans, with the same microtargeting options described for boosted posts. Additionally, through the Facebook Ads Manager, you can post promoted Instagram ads to your Facebook Fans (even if they are not following you on the Gram). You can also place two specific types of ads in Messenger to your fans: “app installs” (driving traffic to install an app) and “traffic” (referring traffic to a website). All of the platform choices are located under the “placements” tab in Facebook Ad Manager. Twitter allows for similar follower segmentation options as Facebook, albeit with fewer content options to share with them. You can create an awareness campaign or a referral campaign through Twitter’s Ad Manager tool, and have the ability to target your followers. Note that to get the explicit follower prompt from their ad manager tool – you have to choose the “want more” option from ad manager. Once you have navigated the ad manager, follower targeting options are located in “additional targeting criteria” -> “add followers.” Note that although you can add followers using this tool (see growing earned media for more on this), if you only check the box for your followers you will re-engage your followers with this paid option. In addition to the filter identifying your followers as targets, you can further segment your targets as you can with Facebook by demographic and interest parameters. For each of these types of paid posts, you have the option to segment by LinkedIn (demographic and professional) criteria. You also can target only “company followers,” the LinkedIn equivalent of Facebook Fans. Because of the dynamics of LinkedIn usage and outreach restrictions for company pages, paid options are perhaps more critical to outreach for businesses on LinkedIn than any other social network. A good CRM solution will tie social profiles to email accounts, allow for segmentation of lists based on customer personas, and will monitor spam filtering and opens. An email subscriber gives you a lot of latitude to send email at will, but if you get flagged as spam or if you’re not competitive in style and substance to the numerous email messages that people receive in their inboxes daily. Just as paid social enhances reach on most social networks, CRM solutions help to increase delivery rate and open rate for email, which is demonstrated more effective than social for conversion and sales. So, it makes sense that CRM is a paid solution that enhances email reach in the same way that social networks amplify their paid content, even if it’s not “paid” as we would use the term to describe promotion on Facebook and other social platforms. There isn’t a trove of available data measuring social attrition, but anecdotally (perhaps using email unsubscribes as a benchmark) attrition is always happening within your earned media channels. It is always a good strategy to consider growing customers, social or otherwise…. And there are plenty of paid and organic ways to achieve this. In fact, competition within the social sphere perpetuates specific targeting tools that you can use for many popular social media platforms. If the data exists within the platform, the odds are that you can find segments based on these to target your ideal customers. For an in-depth dig into how you can focus on Facebook, Instagram (which uses the same ad manager tool as Facebook), Twitter, and LinkedIn, see this post. When we discussed paid promotion, we discussed targeting our Fans. And (of course), the same targeting tools can be applied to all of Facebook’s users to grow our audience for each of the different ad tools that Facebook / Instagram / Messenger offers. One of the most exciting of Facebook’s ad options from the perspective of earned social media growth is its lead generation tool. With the lead generation ad, you can convert Facebook prospects into email subscribers, which significantly enhances the frequency and consistency that you can communicate with your fans. Because of the scale of Facebook and its segmentation tools, it is a desirable platform to grow your earned social media footprint. A smart tactic like the lead generation ad may help return your investment by giving you a more reliable means of frequent communication with your publics. Everything that you can do to target your followers on Twitter you can do to expand your presence as well…. but unlike Facebook the growth that you’re paying for is mostly limited to Twitter. Twitter had a lead generation product (its Lead Gen Twitter Card) which was deprecated earlier this year. Although this is a bit of a disappointment, you could do the same thing from a Twitter click conversion to a lead gen landing page using the Website Clicks and Conversions ad. Much like Facebook’s options for expanding your earned social media footprint, Twitter has a pretty good option for taking Twitter followers off-Twitter and many good options for expanding your Twitter footprint. A helpful tool for expanding within the Twitterverse are the fake follower tools such as StatusPeople’s “Fakers” tool, Twitter Audit, and Bot or Not. These tools don’t know for certain if Twitter followers are bots but assess them for certain characteristics to identify accounts as bot-like. You may harbor any reservation about the accuracy of a tool like this, but if a follower has many of the features of a bot their utility to you is small, humanity notwithstanding. On LinkedIn, you can create ads that direct people to your website or your company LinkedIn page, and can also use sponsored InMail to message prospects directly. There are a lot of ways to transport targets from LinkedIn to an email subscriber or at least someone with a one-to-one communication pathway via InMail, the challenge is simply a matter of response on a network less traveled. For LinkedIn, a significant milestone ahead is the continued inclusion of LinkedIn into Microsoft products (such as Office and Skype). There may be a greater opportunity here in the future, as this is an enormous potential change to the visibility and use of LinkedIn going forward. There are a lot of ways to increase your subscriber list, but in an environment where cloud-based email such as Gmail constitutes so much of the email market, it is somewhat risky to pay for lists that risk putting you on a spam list. If you can channel social contacts to email or procure subscribers with any of many white hat methods, it would result in a far better outcome than being placed on a spam list and losing access to 30% of your subscribers. An important aspect of getting the most from your social media presence is to find mechanisms to measuring exactly the thing that you set out to do. The caveat is that you have to vet what you want to do. Some PR and marketing professionals (not you!) find comfort in the vagaries of social media, but there are many techniques for attribution that allow you to measure specific actions. A great resource discussing PR measurement is found here. Though the post is a couple of years old, Shonali Burke and Johna Burke’s insights into the philosophy behind vetting an end state before considering its measurement is spot on. The general idea for measuring social media is to vet what you want to accomplish using the channel. A goal might be as specific as a conversion event from a referred social source, or as broad as increasing audience for a channel. Whatever your intent, there is likely a way to measure it. Whether it is something as rudimentary as a promotional code, or as technical as a pixel, there are a lot of tactics for measurement available for most goals. A critical insight for PR measurement is that the social platform metrics will most likely not be the measurement tools that you need for your objectives. An excellent example of this is the reach metric for Twitter, which is calculated as the number of people who saw your post divided by the number of followers who were active on Twitter when you posted. A 5% reach measurement may seem pretty good for a social platform, but if only 2% of your followers were online when you post content, Twitter’s 5% reach would only be 0.1% - quite a quantitative difference. Facebook’s marketing dashboard is straightforward fare. Measurements such as “Likes,” “Post Reach,” and “Engagement” are featured along with ad performance. You can see that using metrics like these can limit what you can do and measure. Facebook is also pushing their “Offline Events” tool, which requires API integration and uses attribution modeling to gauge the effectiveness of a marketing mix. The API can be accessed organically or through a number of third-party partners if this is the level of sophistication that you are accustomed to. Another interesting measurement tool is the Facebook Pixel, which captures customer behavior on your site and can help to create more nuanced Lookalike Audiences for your Facebook ads. Again, the overarching theme of this section is that you should measure what you want to measure and not what a social platform tells you to measure, so don’t feel inadequate if you don’t have an attribution model tied into the Facebook Offline Events API. You can also get more engagement detail from the dashboard by looking individually at each Tweet. LinkedIn Page analytics are more of the standard fare, with reach and engagement metrics. As you can see below, the ad analytics tool gives more detailed data about your ad spends which is helpful given the necessity for ad spends to message effectively on the platform. A final word about email: not only is it a reliable means to contact people, but it is a very measurable communications tool. Perhaps the one thing that you should do today to enhance the value of your earned social media is to capture some of your fans and followers as email subscribers where communications are more reliable, reach is greater, and the capability to measure specific actions is as good (but probably better) than most social platforms. It may seem out of context to mention email so much in a post about social media, but email is a resource enhancement when it comes to social. In the digital environment as it stands today, an email subscriber is easier to contact and engage than a social fan or follower. Perhaps the most valuable insight into social media is to understand how rapidly it is changing. Everything from platform features to reach to targeting data change quickly, especially with competition the likes of Snapchat, Pinterest, and other upstart networks. With social platforms in constant flux, it is important to reassess your measurement and implementation strategy regularly. Since many of these companies are publicly traded and release new features quarterly, it may be worthwhile to re-evaluate your social strategy at least every three months, while paying particular attention to events like Facebook’s annual F8 Developers Conference. Because of content filtering and content resonance, the value of earned social media is never constant. What works today may not work tomorrow, and it’s incumbent for good PR and marketing pros to see what is working well, to identify problems, and to adjust resources as necessary. Calling back to the point about the President’s Twitter gaining awareness because of the press amplification of his Tweets, if it makes sense PR and marketing pros can leverage their press contacts to amplify their social media to some degree. For instance, many sports and entertainment news sources embed Tweets and Facebook posts to describe a person of interest’s opinion or reaction to an event. A savvy PR person could perhaps provide social content to journalists and influencers with an explanation of context and meaning (believe it or not, sometimes social content is misconstrued!). Whether earned or paid, amplifying your earned media is all about incorporating a sound social media strategy into your greater PR plan and marketing mix, growing your earned media, and adjusting resources appropriately.